What’s So Funny! is a comedy show originally recorded for radio which ran until 2008. The host of What’s So Funny! 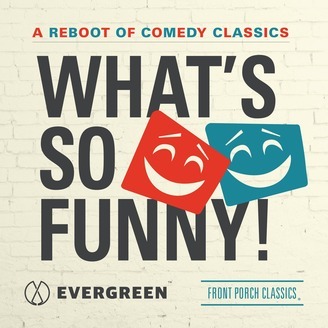 is Dave Schwensen, a former television talent coordinator in Los Angeles and New York, author of "How To Be A Working Comic," and comedy coach for The Improv comedy clubs in Chicago, Cleveland and Tampa. In each episode, Dave interviews a guest comedian, discussing how that comedian got his start and tips of the trade. They listen to and comment on bits of his stand-up performances, as well as those of the comedy greats. What’s So Funny! 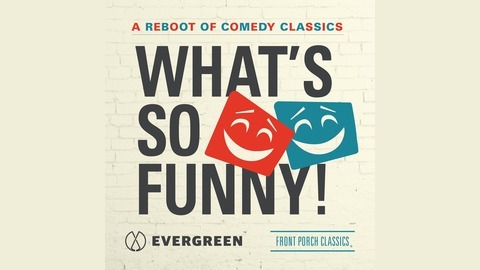 is now being re-released as podcasts by The Front Porch People in seasonal format. It is an original podcast produced, edited, recorded & published by The Front Porch People. Based out of CLE & NYC. Griffin discusses different "comedy voices," and how you can find yours. He and Dave also play tracks and discuss the influence of other comedians, such as Jerry Seinfeld.